Beneath the Aurora Borealis an oil tanker glides through the night past the Coast Guard ice breaker Amundsen and vanishes into the maze of shoals and straits of the Northwest Passage, navigating waters that for millennia were frozen over this time of year. "Where it's white (on the chart), it means the area hasn't been surveyed," he explains—leaning over a map that is mostly white. "Most of the far north hasn't been surveyed, so our maps are unreliable." The crew constantly take radar and multi-beam sonar measurements and check their position. "We don't want any shoals named after us," says the old sea dog from behind his spectacles. 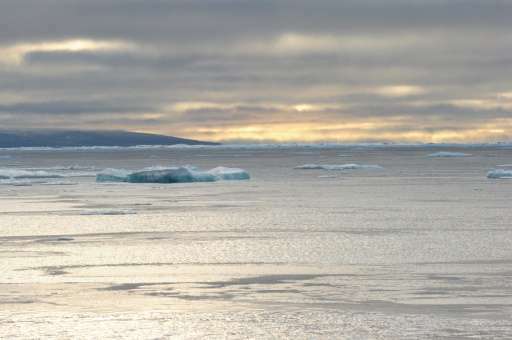 Almost the size of the European Union, the Canadian Arctic seabed remains largely uncharted. The waters are also shallow and navigating unknown parts can be deadly—even when the north is ice-free. 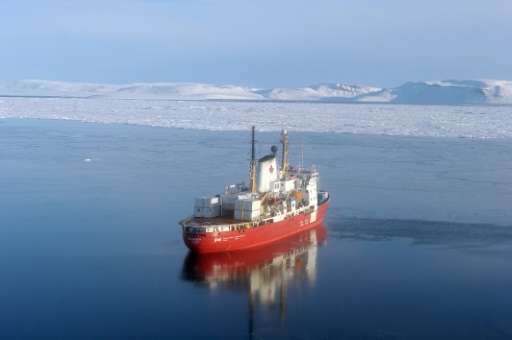 In the summer months the Amundsen is used by Canadian government scientists—among them Roger Provost, a Canadian Ice Service meteorologist—as well as a network of scientists led by the ArcticNet organization. Provost looked with amazement from the wheelhouse at the lack of any ice cover around the coast guard ship. "Anyone who still denies climate change is real has their head in the ground, they're blind," he said. In 37 years of Arctic exploration, he said he "never imagined ever seeing this," pointing to satellite images showing a clear path through the Queen Maud Gulf and the M'Clintock Channel, where the Amundsen is headed. In 2010, Canada imposed shipping regulations on seafarers going through the Passage, but the United States and the European Union do not recognize Canada's ownership of the waterway, considering it international waters. 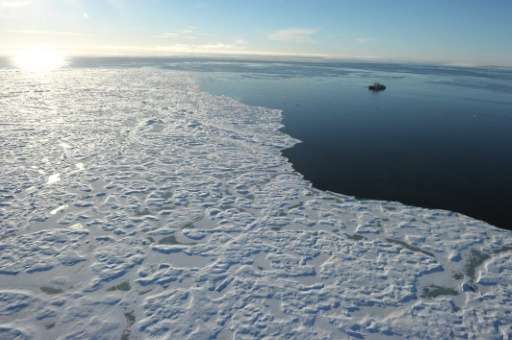 The ice cover has steadily retreated over the past decade, with this year set to be the hottest on record, according to the US National Oceanic and Atmospheric Administration. The previous year saw average global temperatures rise one degree Celsius—but by three degrees in the Arctic. What most worries Provost is the loss of "multi-year ice," formed over centuries. "In a few years it will completely disappear," he forecast. "It's a tragedy for all humanity what is happening." 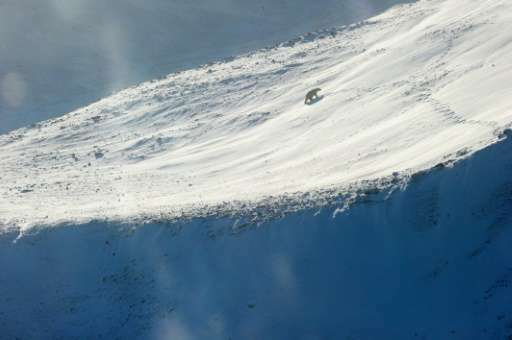 Glaciologist Lauren Candlish said: "We're now in the transition phase, from having multi-year ice through the entire summer, to a seasonally ice free Arctic." Poring over data on her computer in a nook of the ship the University of Manitoba researcher says: "It's a different Arctic now. Less predictable, with more fluctuations." The last such melting occurred "before the last ice age," from AD 100,000 to AD 10,000, she noted. Most aboard the ship doubt we are headed for an Arctic shipping boom predicted by many, as the weather remains unpredictable and harsh. 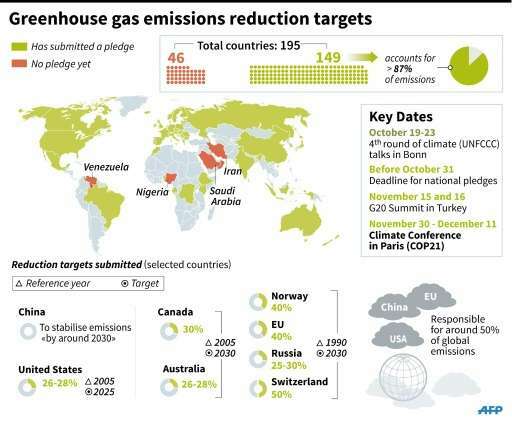 But there is sure to be an increase, which raises concerns for the environment. "When it was covered in ice, this ecosystem was not threatened," says Provost. The Arctic is a unique and diverse ecosystem that is home to whales, seals, polar bears, walruses and several bird species. "A massive oil spill like the one in the Gulf of Mexico in 2010 must never happen in the Arctic," he said. "The consequences would be much more serious."